A special heart jigsaw puzzle for a personal striking message to someone you love. 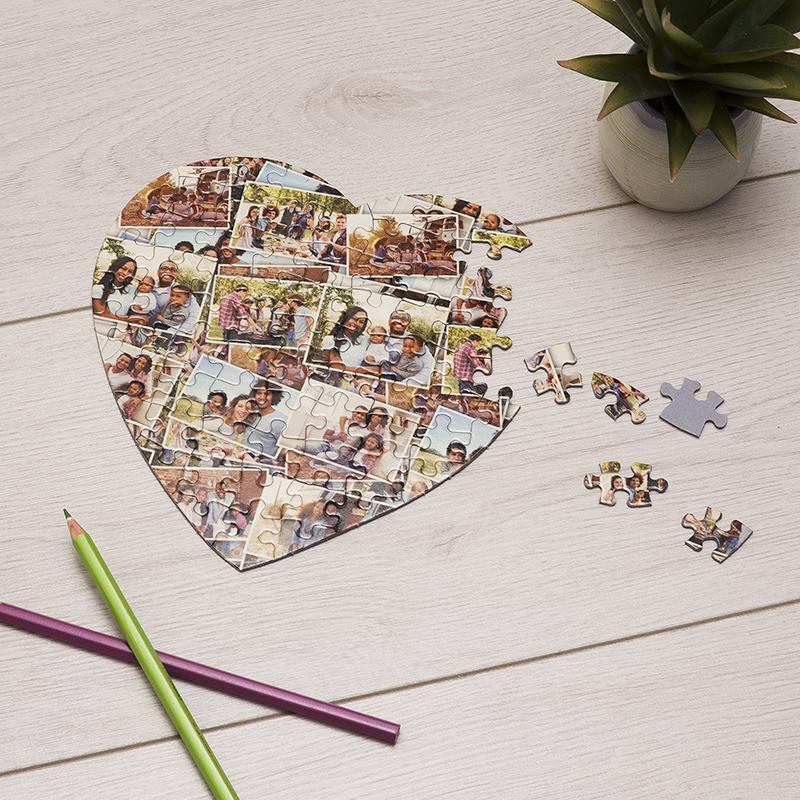 Add your photo to our template to make a personalised heart shaped jigsaw puzzle for your sweetheart. Comes in a cute pouch with three themes. Just upload the photo into our template and we send you your custom heart jigsaw puzzle in a gorgeous pouch. The recipient can only guess what this is until the mystery of making the heart puzzle forms. Then they will see a beautiful heart jigsaw puzzle with a photo on it. Order your heart puzzle today and make them melt. 75 pieces printed on firm, good quality cardboard. Use our heart puzzle to great effect and make someone deeply happy. Amazing service and gorgeous product! The love heart puzzle piece was picture perfect. Making a truly special gift. Service was also excellent. My first order, one of the puzzle pieces was broken. However, after emailing them I got a quick reply and the same day they sent a replacement product. Couldn't be happier. Highly recommend!! We also have pouches specifically for three themes, Special, Valentine's Day or Mother's Day so it will be a mystery present until your recipient assembles the gift. Heart jigsaw puzzle dispatched same day with next day delivery available. Make your heart puzzle order with us today and create a magic moment heart puzzle and for someone special. The heart jigsaw puzzle is made from 2 mm thick cardboard with a glossy printed surface making a high-grade heart puzzle. Our hand printed heart jigsaw puzzle is made the same day. It comes in a unique pouch and uses modern digital printing techniques to ensure a full-colour long-lasting print. Are you are going to ask the question? Make it a mystery question. Present the mystery question in our pouch containing the unassembled loose heart puzzle with your words. They have to assemble the heart jigsaw puzzle to see and read the question - Will you marry me? Our pouches are cute and beautifully made by hand to enhance the moment. Happy Engagement Darling. Print it on a heart jigsaw puzzle for an engagement present and surprise your betrothed with a unique engagement gift idea to mark the special engagement period before the marriage. A true favourite for Valentines Day. Make your Valentine feel special with a message that goes straight to the heart of love. Make your sweetheart happy with this unique and one of a kind printed tin hearts- and it contains sweets!